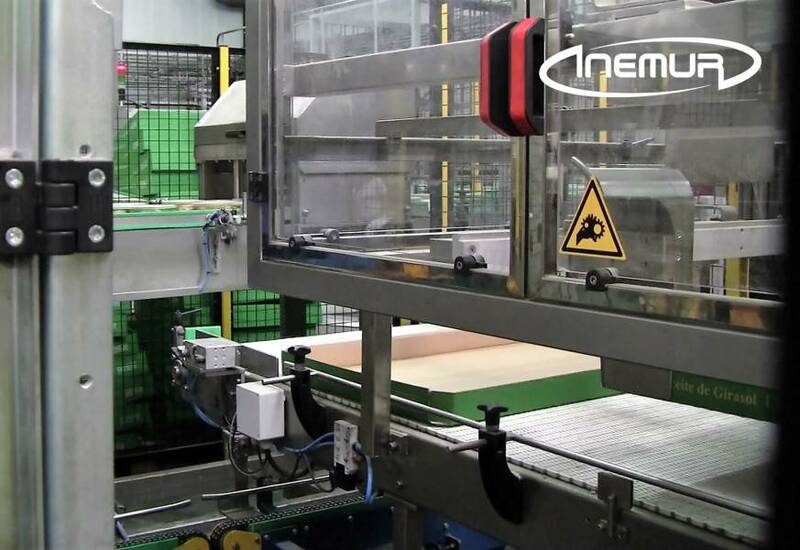 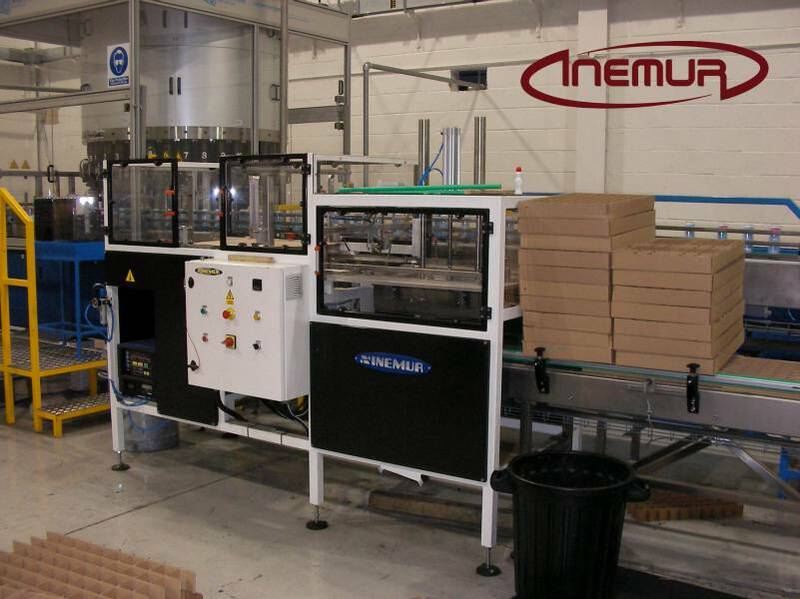 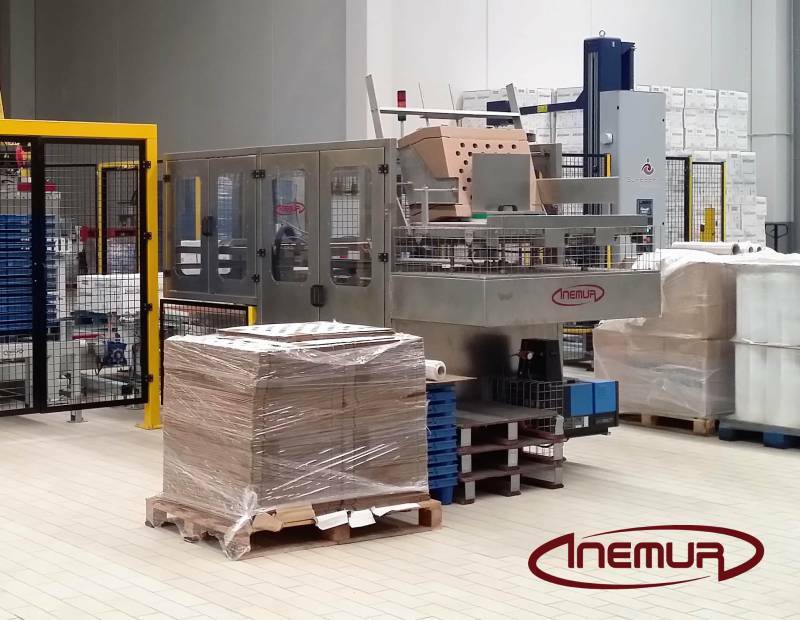 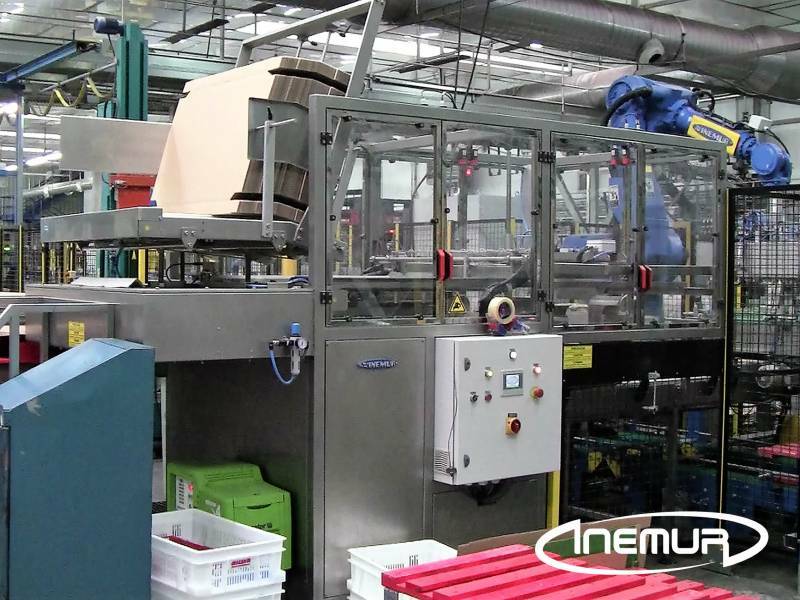 The automatic tray erector INEMUR are the perfect complement to our lines of palletising and packaging containers on half and quarter pallets. 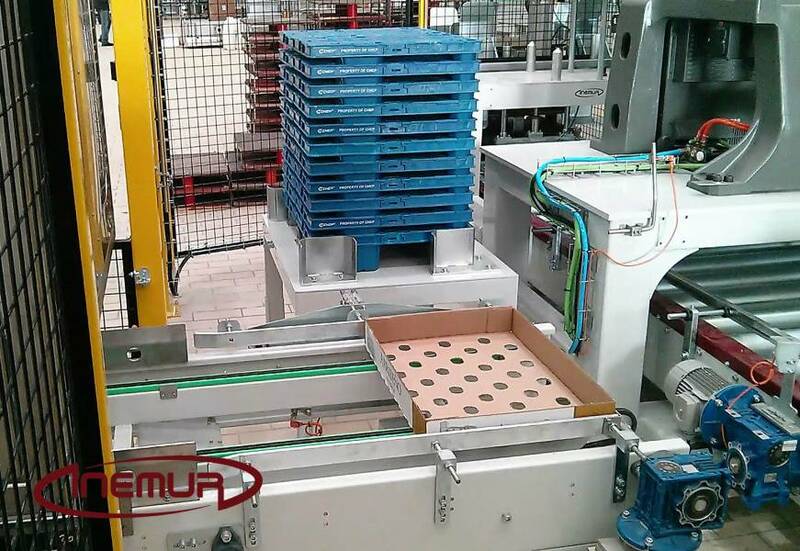 We have a magnificent and functional range of models for the formation of cardboard trays of a variable configuration suitable for each type of industry and with different production capacity. 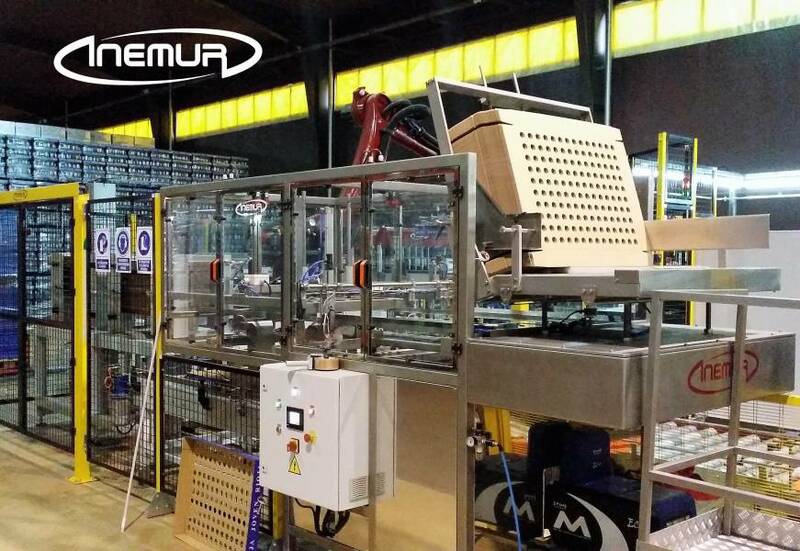 Its high efficiency, ease of use, regulation and reformatting have made them very popular in the food industry, cleaning products, and personal hygiene.